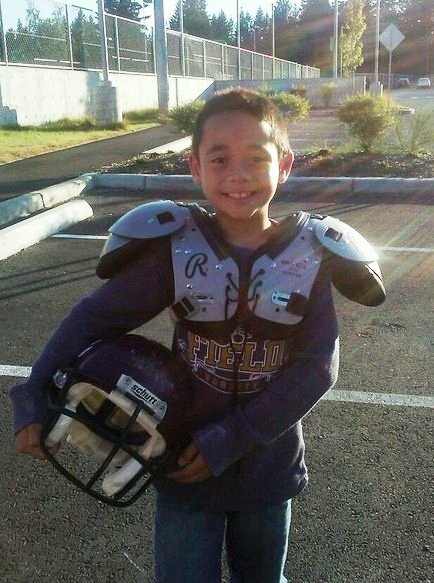 Tom is a 64 year old baby boomer, who graduated from Cascade High School in Everett in 1966. He did a couple of years at Everett Community College (while working part time at Western Gear Corporation, designing equipment) and then signed up for the US Navy in 1967 under the delayed entry program (as an alternate to getting drafted into the Army) and went into the Navy in March of 1968. He went to Navy schools on and off for three years and then became an electronics technician and Nuclear Reactor Operator (trained on twin 320 megawatt aircraft carrier nuclear reactors) and then was assigned to the USS Daniel Webster, SSBN626, at Pearl Harbor in November of 1971, where he met his blushing young bride to be (Mona) on a blind date, setup by friends of his folks, who recently moved to Hawaii to install new phone equipment for Hawaii Tel. 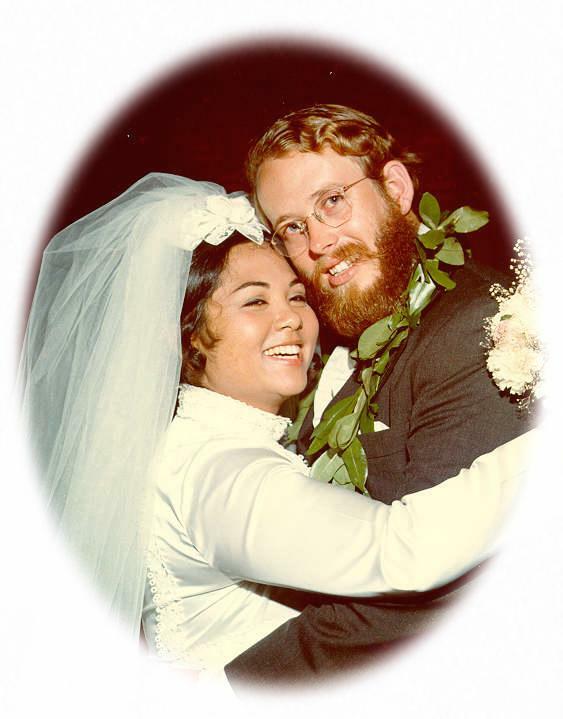 Tom & Mona have been together ever since and will celebrate their 39th Anniversary in July of 2011. When Tom left the Navy in 1974 he & Mona moved back to Washington State, worked for another company for five years before starting his own company (www.durencontrols.com) in November of 1979. It's been 32+ years now and life is good at 62. Remember, never forget how IMPORTANT family & friends really are in this life! 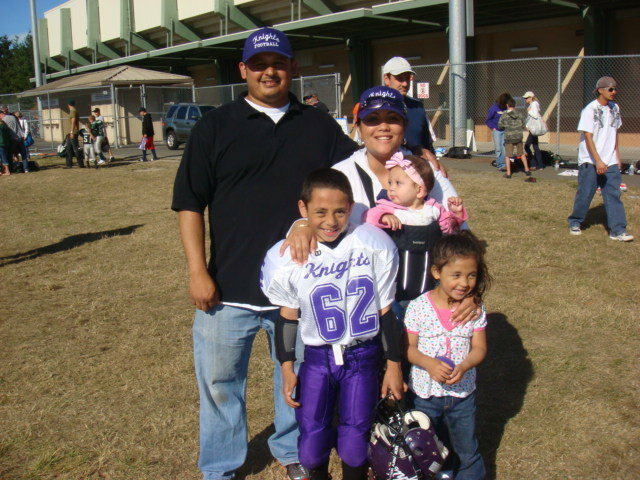 2008 was a tough year, when a road construction project flooded our home with raw sewage on July 1st, 2008, rendering 6 of us (3 generations), instantly homeless. Then 3 weeks later (on their 36th wedding anniversary), Tom's wife Mona was diagnosed with ovarian cancer. She had surgery at Swedish a month later & they removed uterine cancer, ovarian cancer, and an ovarian tumor the size of a soccer ball. Biopsies came back negative on the rest of her body, so she started Chemo on November 4th, 2008 and finished on February 17th, 2009. We all lived out of suitcases in two hotel rooms for 94 days and a rental house for 65 days, while beating on three insurance companies to begin repairs on our home. 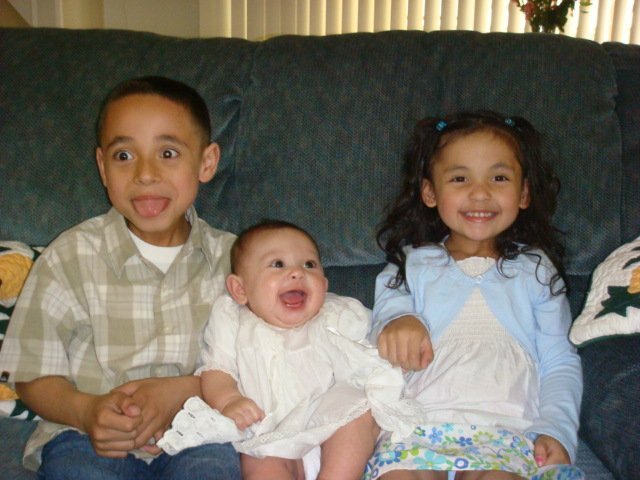 We finally moved back home in early December 2008, in time for Christmas. Needless to say, this year won't have to be that great, to be a good year. We're also thankful for all of the thoughts & prayers that helped us keep going and get Mona back on the road to recovery. May 2011, got my new hat & bumper sticker! WooHoo! Yes, I AM a proud Navy Veteran! 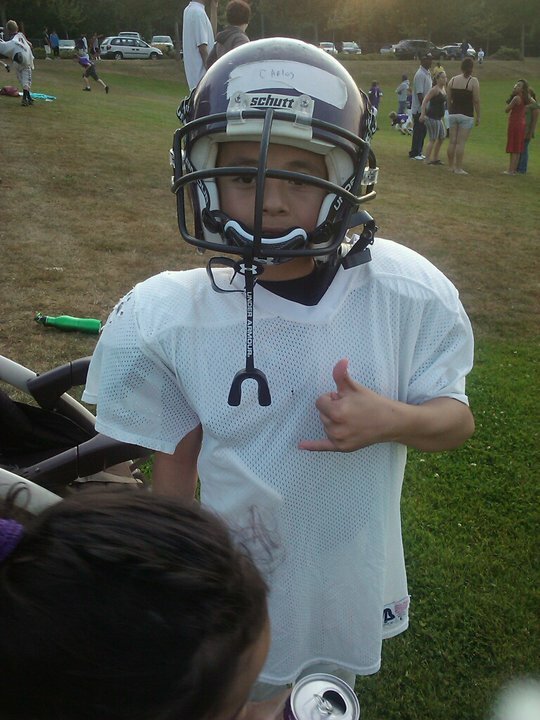 Here's grandson Carlos  in some of his football gear, plus all of the kids/grand kids at a football jamboree on 8/28/2010. Below: Wife Mona on 5/12/2009, you can see her hair is growing back slowly (following months of Chemo to battle ovarian cancer)! The good news/bad news is (a) she survived but (b) she's the ONLY ovarian cancer survivor from a group of women taken care of by her cancer care nurses (since ovarian cancer is normally found in later stages, meaning the survival rate isn't very good). Sigh. Below: Me at Steven's Pass on Saturday, May 9th, 2009, headed to Jameson Lake for some camping, fishing, pie, & coffee and then on to Mom's for Mother's Day. Below: 5/8/2009, my new prototype Lake Fishing Platform complete with a frame, cushy boat chair (from a garage sale), two wheels & an umbrella from Harbor Freight. The handle on the right side (with the pole holder & towel) doubles as a handle that can be removed & connected below the chair to act as a handle for pulling it back & forth to the beach, kind of like a golf cart. The pipe in the back holds the umbrella. Below: Me with my blushing young bride on July 22nd, 1972 (I was in the US Navy Submarine Service with that hair)! 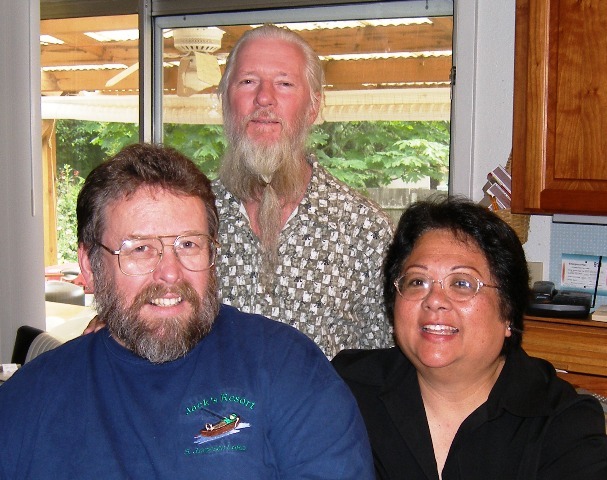 Below: Me & Mona with friend John Oje (from Hawaii), in 2005, who moved back to the Northwest from Oklahoma a few years after his wife passed away. He got a beard trim & hair cut (at Mona's urging) shortly after this was taken. Below: Me with my blushing young bride (of 36 years) on Christmas 2008, while she's undergoing Chemo for ovarian cancer. Life is short. Be nice to each other, give lots of hugs, kiss often, & have some FUN!